How are you valued as a manager? Do you feel the need to 'have all the answers'? Do you worry too much about work? Are some of your peers doing better than you? Are you at ease with the global multi-cultural world? Are you coming second too often in sales? Should any of these questions make you feel uncomfortable, you are not alone. 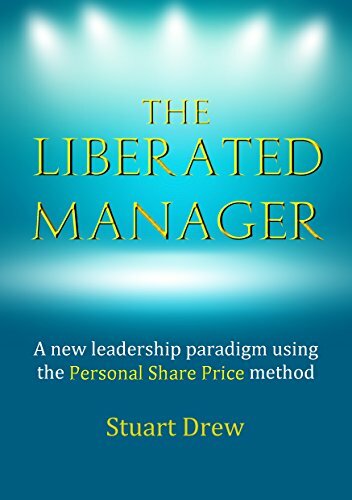 The path to liberation and differentiated success is in managing your Personal Share Price, a concept introduced in this book. "This is a terrific book. Stuart Drew offers a fresh and insightful look at the world of management, through anecdotes from his own highly-successful career. Professor Julian Birkinshaw, London Business School "The Liberated Manager' is a must-read for all who need help in getting prepared to tackle the myriad challenges of managing people in today's agile world". Anand Pillai, Managing Director Leadership Matters Inc.